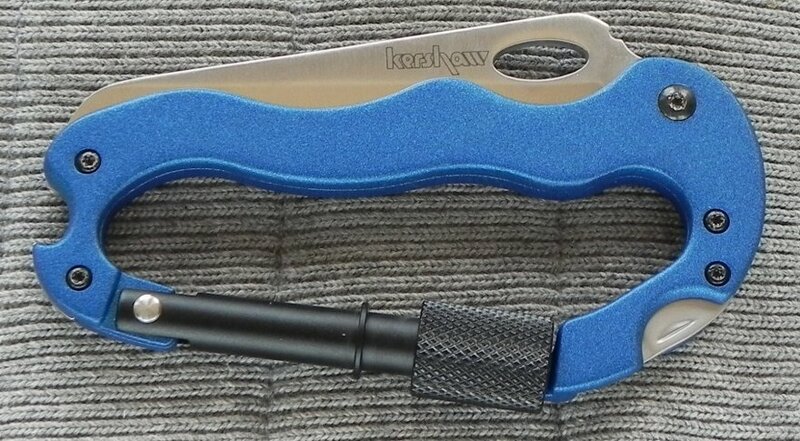 Kershaw Carabiner Tool Blue. 4 1/8" closed linerlock. 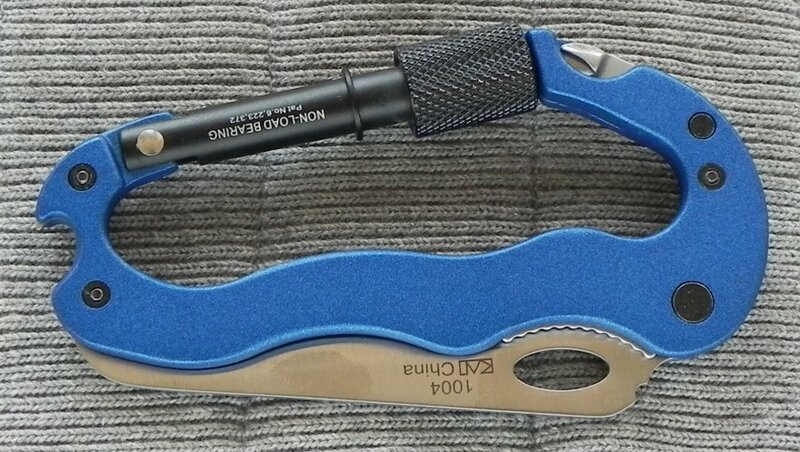 Partially serrated AUS-6A stainless blade with thumb slot pull. Blue Teflon coated aluminum handles. 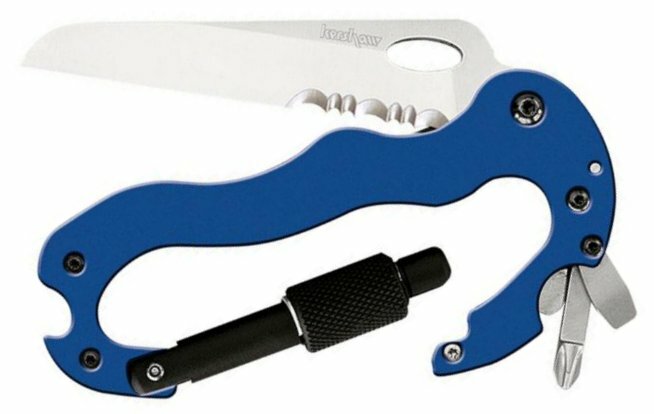 Additional tools include slot screwdriver, Phillips screwdriver and bottle opener. Hang packaged.